It all starts by picking the right piece of fish. Fresh Fish shouldn’t smell like fish, it should not be sticky to the touch and it should be tough to the touch. 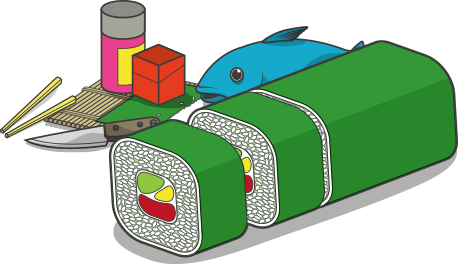 The tuna should be cut in to blocks, preferably rectangular in shape 6×3 cm more or less. this is a very simple cut of sashimi, use a sharp long thin knife, start cutting with the bottom of the blade pulling the knife in one swift movement though the fish (no sawing).